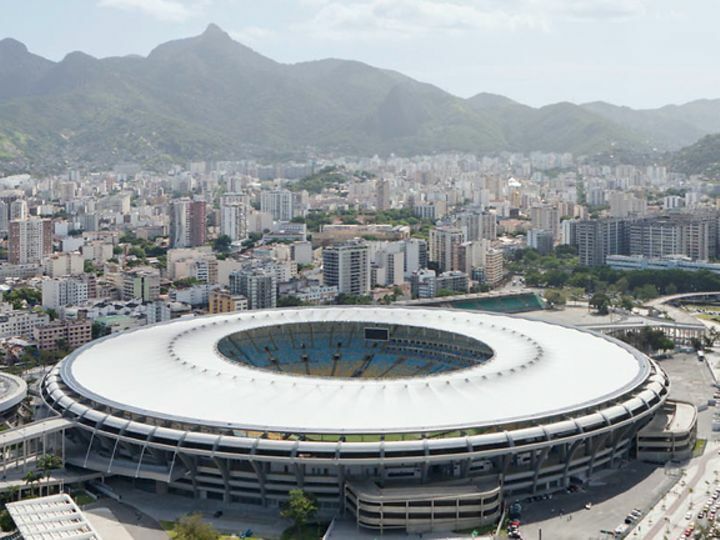 With its far-reaching, apparently floating cantilever roof, the Maracanã stadium is both an old and a new landmark of the city of Rio de Janeiro. The stadium, originally built in 1950, has hardly changed externally since it was first built. 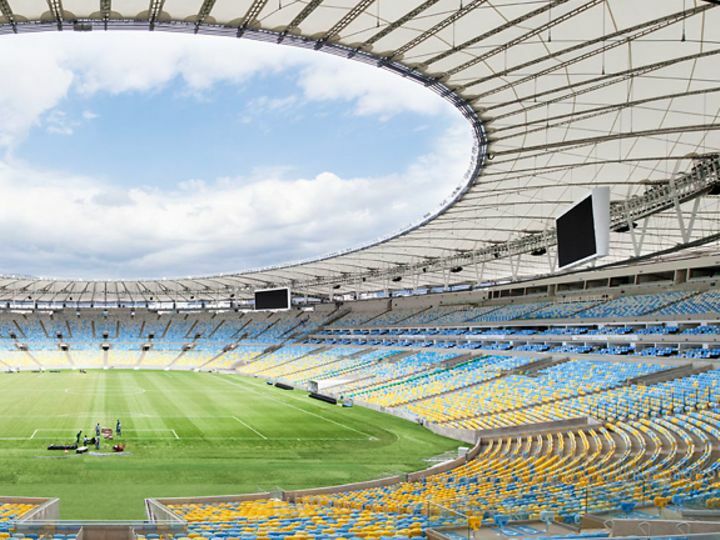 Internally, on the other hand it has been completely refurbished for the 2014 FIFA World Cup and the Rio Summer Olympics in 2016. 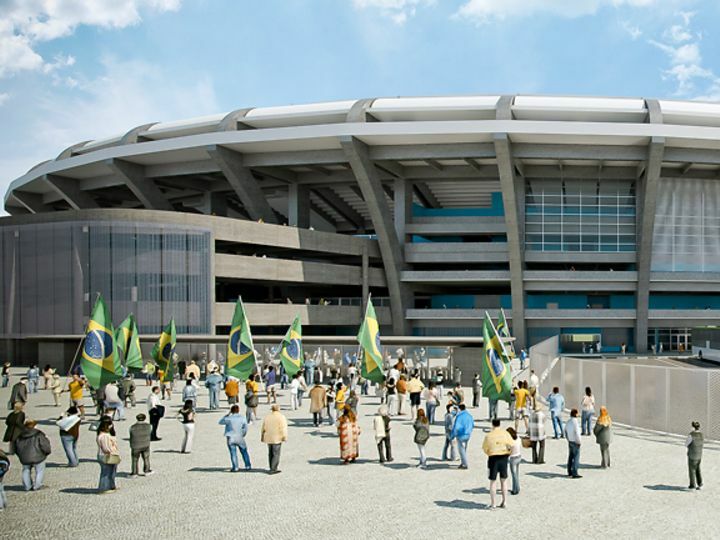 Both the opening and the closing ceremonies will take place in Maracanã stadium. Like in the Olympic Stadium in Berlin, old and new parts of the facility have merged to a harmonious whole. The new portion of the project relates to the reconstruction of the roof, which originally only covered the upper rows of seating. In order to ensure that the external appearance of the stadium changed as little as possible, a cable-net roof was chosen, designed in the form of a spoked wheel covered in a slightly folded membrane. 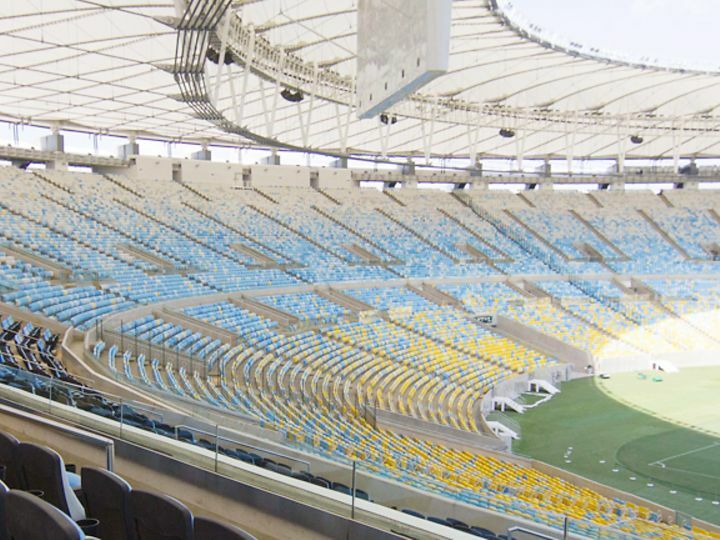 Pleasantly unobtrusive and flat of profile, the new textile membrane roof spans the entire revamped stadium, which offers space, including the VIP box seats, for 81,550 spectators. 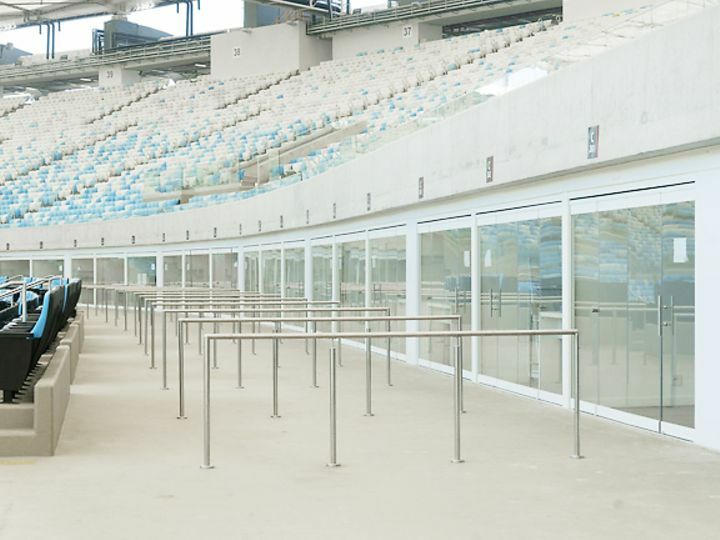 And to ensure that the best view is also available from the best seats, these boxes have been equipped with elegant dormakaba HSW horizontal sliding walls made of glass. As the HSW system comes without vertical frame profiles, it offers a full panoramic view even when closed.